Looking for the able best banquet halls in Hyderabad for your exquisite and intimate party? Our function hall can be the best host for your perfect event. 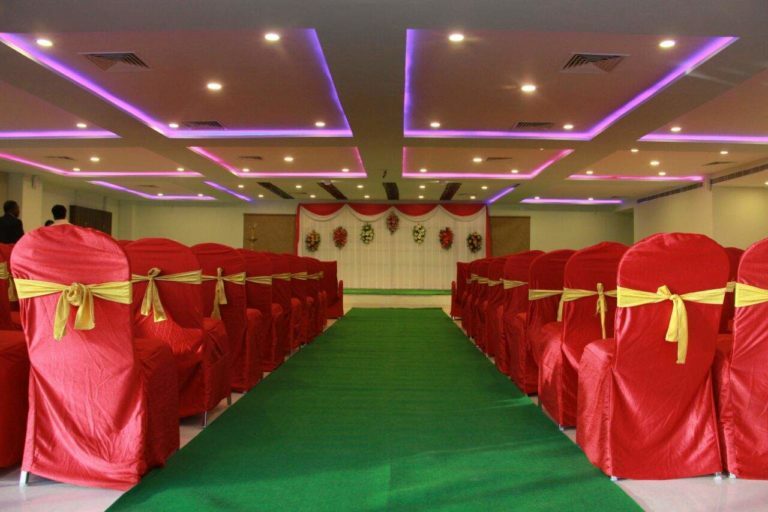 Our function hall in Hyderabad is in closest vicinity to jubilee hills, Kukatpally, Kondapur and Gachibowli and will perfectly suit to host your next event ranging from Birthday Party Celebrations, weddings, receptions, meetings, Conventions, Conferences and events of your choice and Parties, our venue can accommodate all types of functions and events to celebrate. With its wide range of amenities at your disposal, our banquet hall in Hyderabad is incomparable to our competitor’s weddings or special events. We knew it is meant to be! We design every event according to our customer’s desires and taste. Our banquet halls have custom options ranging from exquisite linen decors to lighting that can add a personalized touch to your events to make them unique and memorable. Reach out to us for a majestically beautiful wedding or reception, as our unique venues have a fresh tropical feel that are elegant, spacious and vibrantly colorful. Our feature fitted banquet halls are an ideal place to bring together your friends, family, or coworkers for your wedding reception, wedding ceremony, or a corporate event. We have been accoladed as the industry leaders in providing unparalleled customer service and setting up beautiful venue in a fabulous way for your events. Our traditional venue hall is elegant with nuanced architecture and perfect space to accommodate events of every style up to 600 guests of family and friends.